Universal Newsline - Business, Lifestyle, Entertainment : Trent Hypermarket’s ‘Star Bumper Holiday Hungama’ begins today! Trent Hypermarket’s ‘Star Bumper Holiday Hungama’ begins today! Mumbai, 21st – 26th January, 2016: As our nation gears up to celebrate its 67th Republic Day, Star – a TATA – TESCO enterprise, has announced special promotional offers on food and grocery categories across stores. Apart from kitchen appliances, health and beauty products one can avail discounts on staples, ready foods, beverages, frozen items and dairy products. The bumper tale does not end here, patrons can enjoy flat 50% discount on Star Fashion- clothing, accessories and footwear. 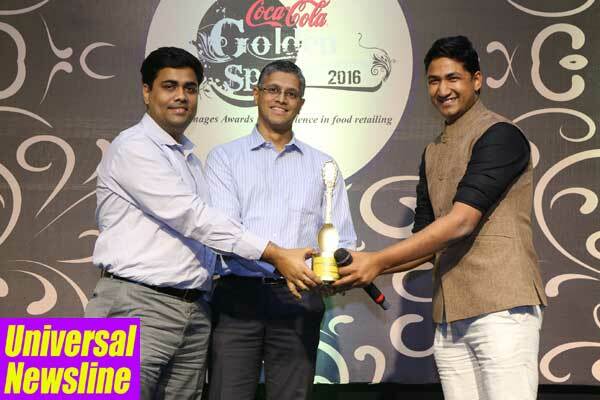 In recognition of Star providing its customers an all-encompassing range of food and grocery products at all times, Trent Hypermarket recently won THE COCA COLA GOLDEN SPOON AWARDS 2016’ for Best Supply Chain Management at the 9th annual mega congregation of the India Food Forum held in Mumbai. Star is positioned to provide a modern shopping environment for customers to shop across multiple product categories with a focus on Fresh produce, Customer Service and Convenience. *The offer at Kolhapur and Aurangabad stores is for shopping amount of Rs 4999 and more.